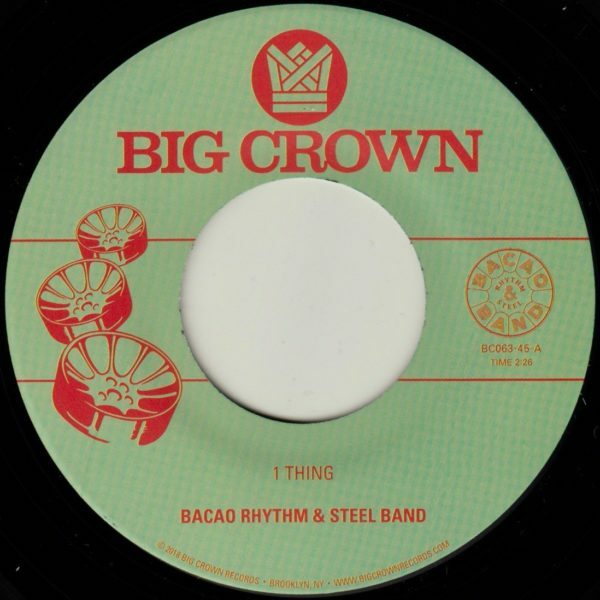 Following up on the massive success of their sophomore full length “The Serpent’s Mouth”, Bacao Rhythm & Steel Band is back with another dance floor classic. The B Side, “Hoola Hoop” is a BRSB original tune, the stuff that B Boys dream about…Setting it off with a killer breakbeat intro that drops into pan hits and flute flourishes, never losing the groove and full of energy. They trade off leads from flute to steel pans while running through turnarounds and drum fills building more energy the whole time like a snowball rolling down a mountain headed right for the speakers.